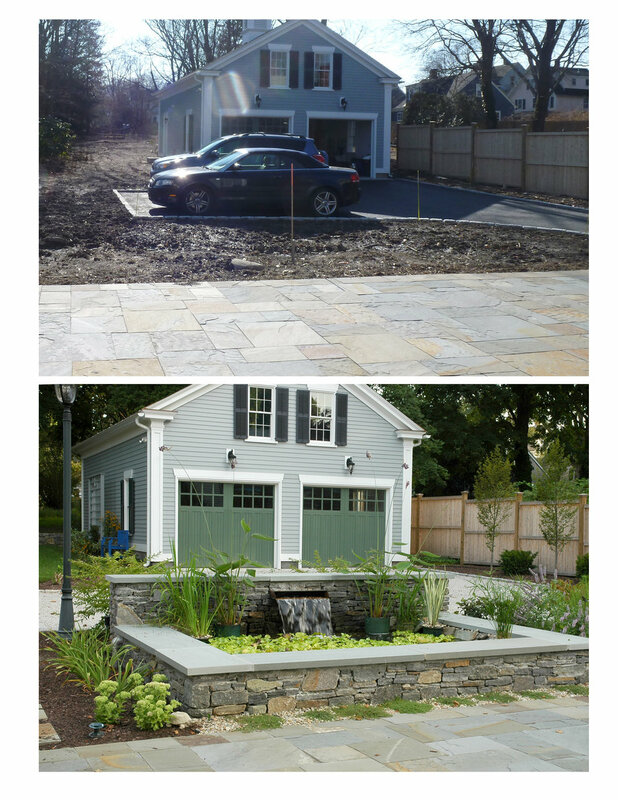 The goal of this design was to integrate a new garage into the site and create an outdoor space that was in keeping with the historic nature of the house. 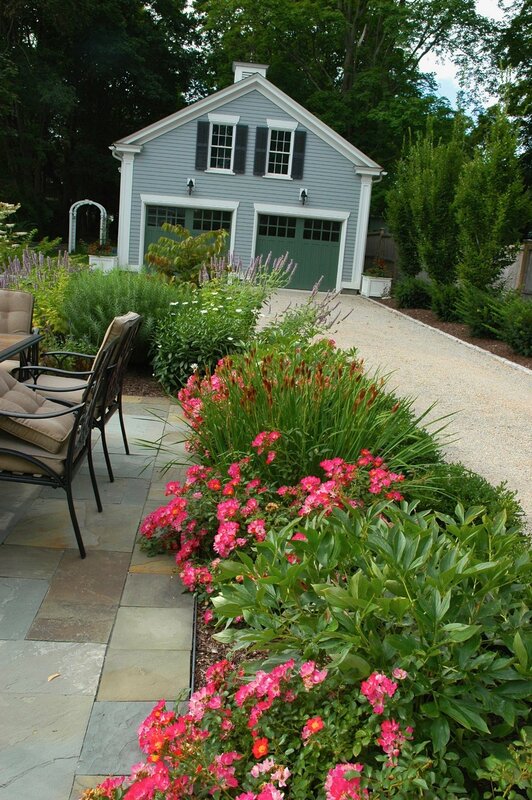 The homeowners are avid gardeners and wanted plenty of outdoor space to entertain, garden and relax. 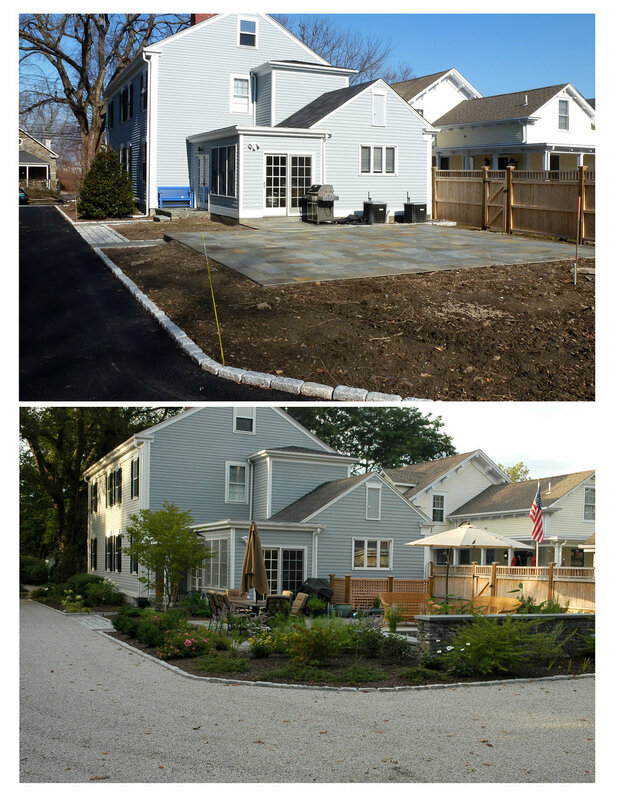 The first phase included the installation of a bluestone patio and stoop and cobblestone aprons and border for the macadam driveway. 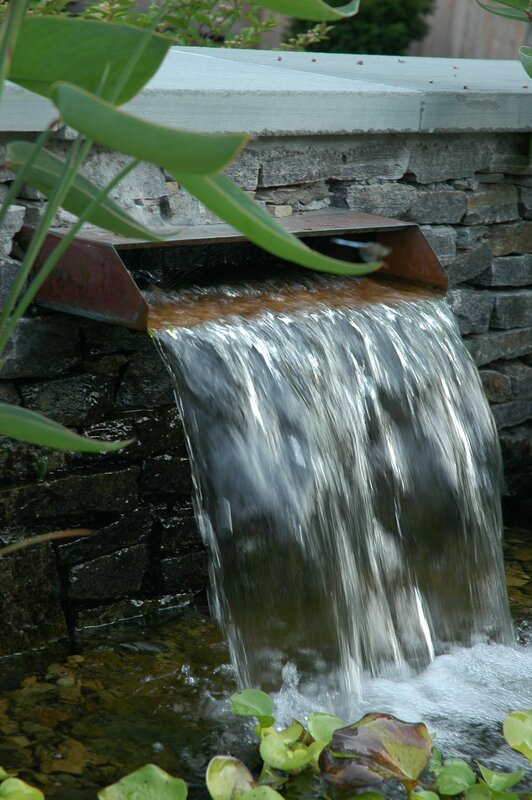 Phase 2 included a small fieldstone wall that serves as an entrance to the large open area behind the garage (to be landscaped in a later phase), ornamental fencing to frame the front gardens, and a garden pool with a copper spillway, which serves as a focal point on the patio. A combination of evergreen and flowering shrubs, trees and perennials allows for year round beauty in this intimate downtown gem.